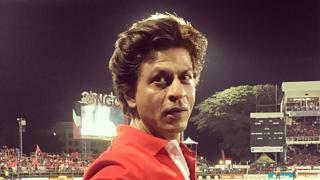 Shah Rukh Khan is not just a Bollywood star but he is also a proud owner of the Indian Premier League as well as the T20 teams in the Caribbean Premier League. 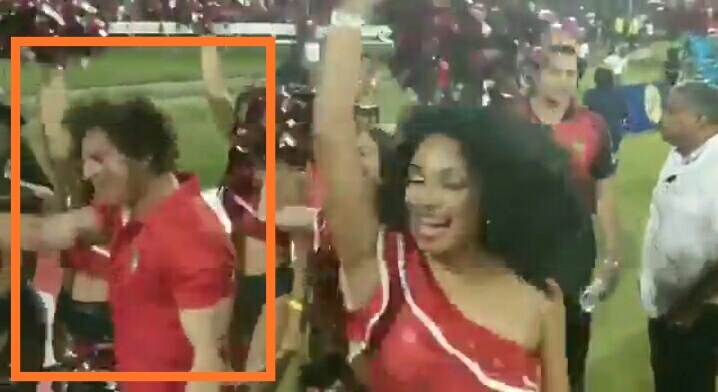 On Thursday, he decided to watch the match of the Trinbago Night Riders and St. Lucia Stars, not only for the fans, but the cheerleader had a good time because he danced with them. 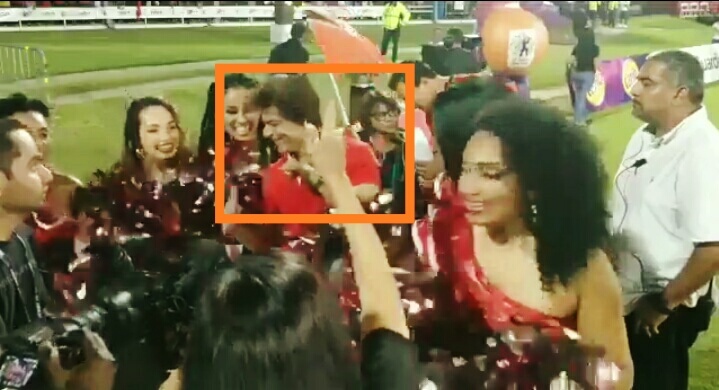 There was no limit to Shah Rukh's happiness when his team, Trinbago Knight Riders, defeated St. Lucia to register their second win in this tournament. If Shahrukh tempted the fans from the ground, it was the batsman of two teams who entertained the crowd with a world record of 34 sixes. During the 65-run innings for St. Lucia stars, Kieron Pollard started the attack with 7 sixes, while Darren Bravo made a last laugh, as he scored 10 sixes in 36 balls with an unbeaten 94 off 36 balls. Both teams scored more than 200 runs. The St Lucia star scored 212 runs in only 20 wickets in his 20 overs, while Trinbago Knight Riders left the ball and followed the total score. Bravo's company was Brendon McCullum because the former Kiwi captain scored 68 runs in 42 balls.